The Museum is dedicated to preserving the people, culture and heritage of the Island. 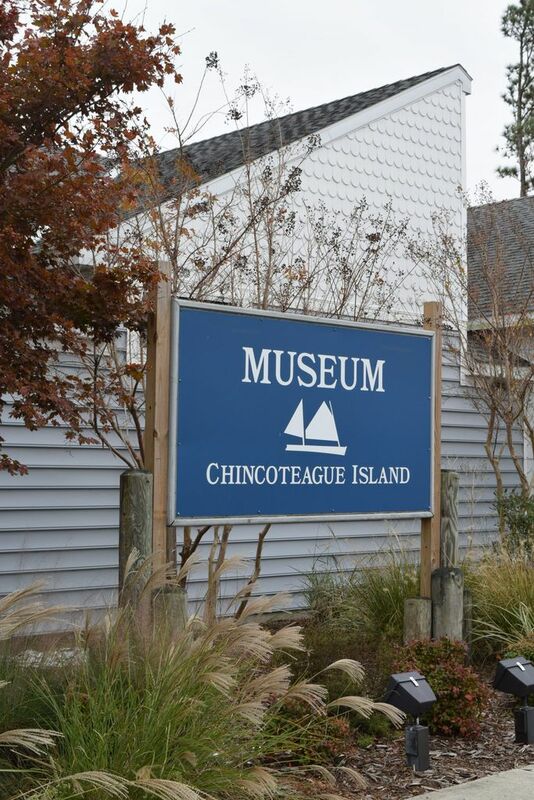 Exhibits display life on this barrier island chronologically from before man to the present. Objects on display include fossils dredged from the waters around the Island and items salvaged from shipwrecks along our coast. 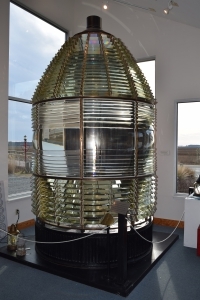 Exhibits include implements from our oyster and seafood industry along with a contemporaneous video of oystering beginning with planting the beds to canning for shipment. 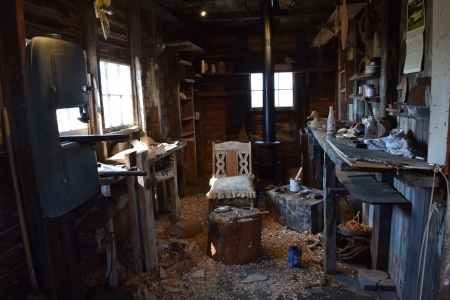 The Gilded Age exhibit depicts life on the Island in the late 1800’s into the early 20th century when wealthy merchants owned large Victorian homes on the Island. 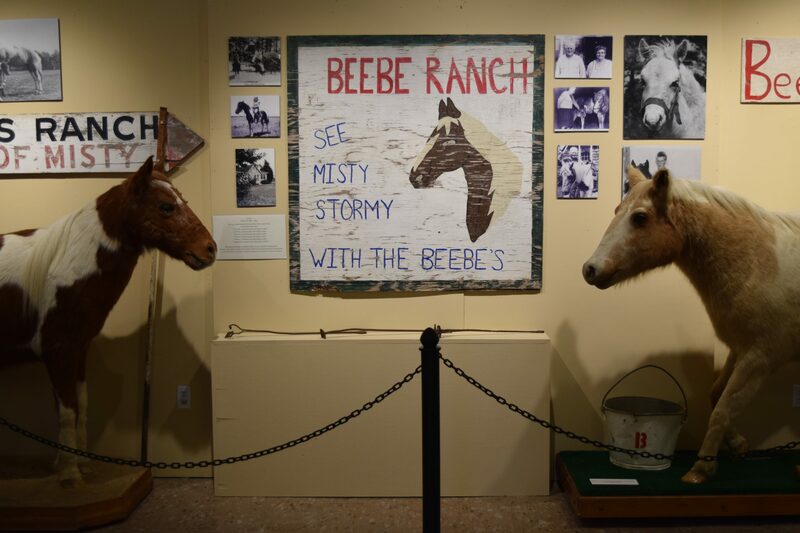 There are historical artifacts from our churches, businesses and volunteer fire company including an 1880 hand pumper wagon and items from the rich traditions of the carnival. 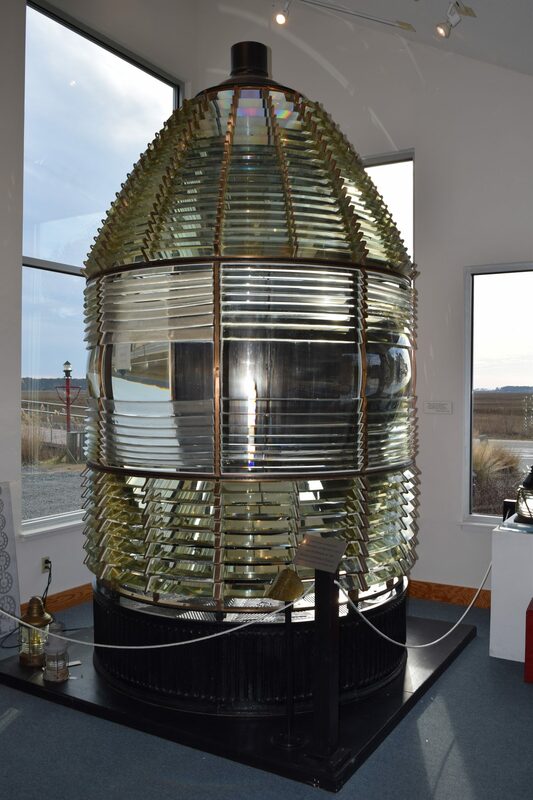 Visitors are welcomed by a first order Fresnel lens manufactured in Paris in 1866 used to light the Assateague Lighthouse. The Museum brings alive the community’s early sailing history in an exhibit of models of early vessels used by watermen on our bays, creeks, and channels. There is a video of the 1962 flood that impacted life on the Island. 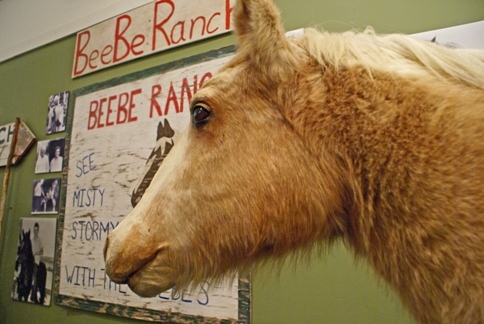 Other exhibits portray the development of the causeway and the bridges that connect Chincoteague to both Assateague and the mainland. Are you planning a surprise party? Getting married? Want to host your office retreat in a beautiful and historical location? 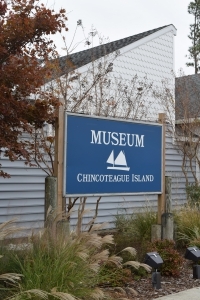 The Museum of Chincoteague Island now has two spaces available for rent! The space inside the museum is ideal for meetings, lectures, and social events with history as your backdrop. 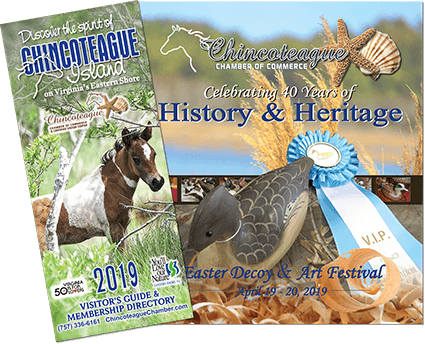 Share the museum’s atmosphere and exhibits with your guests who will be welcome to wander through the museum and learn about the varied history of those living and working on Chincoteague in the past and present day. 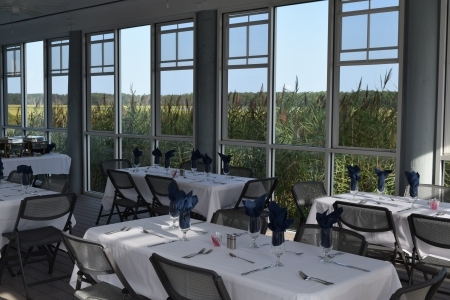 The Legacy Pavilion, generously donated to the museum by the Laken Family in honor of their son Shawn, is a gorgeous venue set right on the edge of the marsh with breathtaking views of the Assateague Channel and Lighthouse. The pavilion is screened in, allowing fresh breezes year round for wedding ceremonies, birthdays, food events, music, and more. In the event of rain, the building can be enclosed so your party can keep on going!